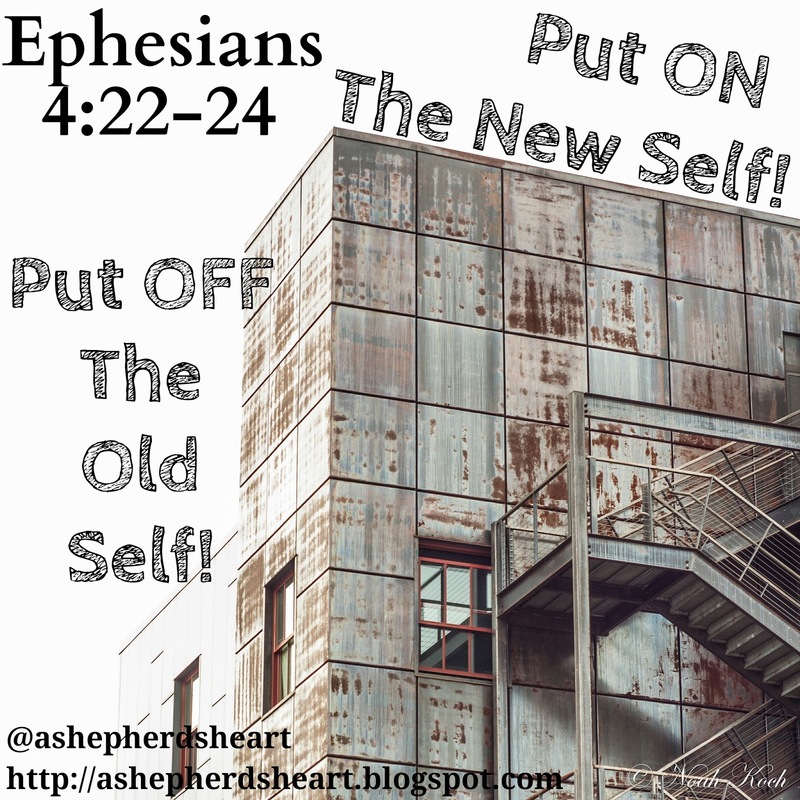 A Shepherd's Heart: Do you want lasting change? Then check out the Put Off and Put On Principle! Do you want lasting change? Then check out the Put Off and Put On Principle! So often in life we need to make changes or adjust the way we are doing things. Some things are serious and or drastic changes while others are smaller changes that need to be made. Maybe you have a bad habit you need to quit? Maybe you are trying to reach a goal and in order to reach that goal you have to stop doing something in order to do something better? So, how does someone do this? It's true that in order to kick a bad habit for instance or to make a lasting change...you have replace it with something better, something lasting and in most cases, something positive. For instance, if someone is trying to lose weight, they have to remove old behaviors or habits such as not exercising and not eating right, etc and then replace it with exercising more often and eating right, etc. Maybe it's an addiction? Maybe it's a bad habit you seek to break? Maybe it's (Fill in the blank here)? To help answer the before mentioned question, "How does someone do this"? 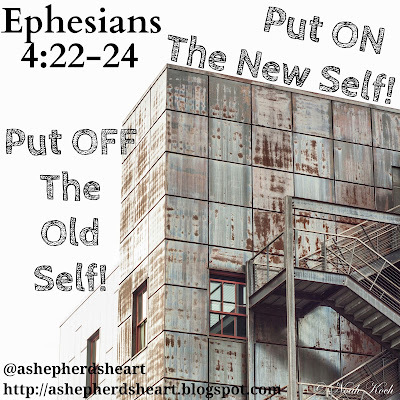 Let me introduce you to the "Put Off and Put On" principle found in God's Word specifically in Ephesians 4:22-24. This is speaking specifically to our old life before Christ and contrasting it with our new life in Christ and how we should then live for Him walking in newness and in His likeness. This principle also applies to us day-by-day and has practical, emotional and spiritual applications. Lasting change often take hard work but aren't you worth it?! Yes You Are! Whatever you're facing God has a solution for you. Whatever you're trying to change, God has something far better for you as you simply purpose to follow what His Word instructions you to do. What do you need to give up, change or modify in your life? What are you being led to put off and then put on today? How will you apply this principle in your life? Seek the Lord today about this and then give it try! What ever you're trying to change today will soon be in the rear view mirror for you as you apply His principles. I believe that even though you and I know it will take varying degrees of effort depending on what we're working to "Put Off" your reward will be something far better that will be "Put On" thanks to help and strength of the Lord and His Holy Spirit. You can't go wrong if you do things God's way. He will always give you something better! What are you trying to change? Do you want lasting change? Have you considered the "Put off and Put on Principle?" See Ephesians 4:22-24.